This 9 bedroom home is the complete package offering the perfect space, luxury, upgrades and proximity to the ocean. The property features 7 master bedrooms, 16x32 pool, huge game room, gas fireplace, screen porch, and loft sitting area capturing great views. The owners have completed several value-added renovations and upgrades including: all new HVACs ($15,000+) in 2016, completely remodeled kitchen with new appliances ($30,000+) 2016, updates to some furnishings, decor and interior home finishes. A very short walk to the beach access! 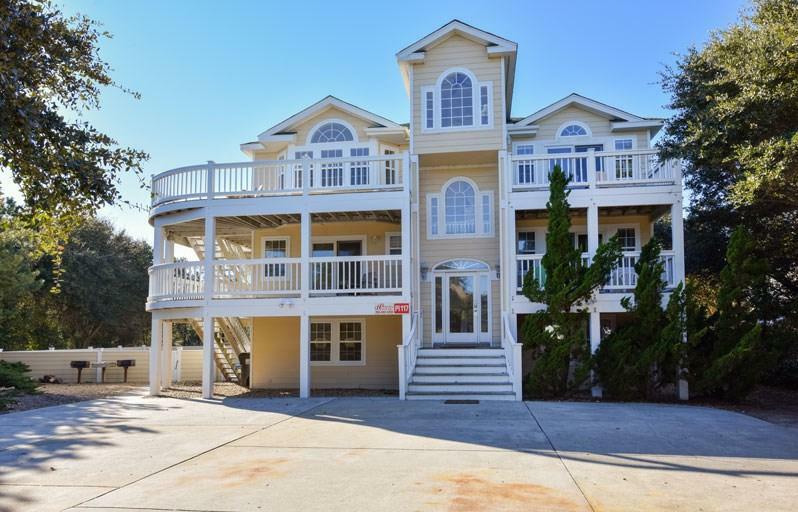 Rental numbers are strong and consistent making this 9 bedroom home a perfect coastal investment. This home will be transitioning into Village Realty's rental program with guaranteed rental income of $110,000 for 2019! Village Realty has provided a rental projection with $91,000-$113,000 in owner rents and $100,807-127,041 in advertised rents! This home has great numbers. Listing courtesy of Amber Griffith of Keller Williams - Obx.